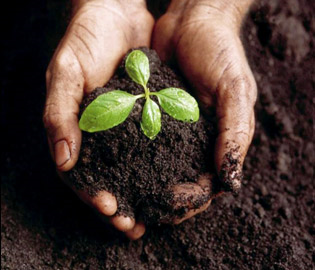 Farmers and ranchers are becoming increasingly aware of the importance of soil quality/health to the productivity and sustainability of their agricultural system. Research and field observations have demonstrated that carefully managed manure applications can contribute to improved soil quality with limited environmental and social risks. However, a comprehensive assemblage of outputs and conclusions from research studies, field trials, soil labs databases, and other sources has never been developed. A north central region work group addressing Manure & Soil Health hosted four discussions in an effort to improve the understanding of current knowledge, critical and emerging issues for which there are knowledge gaps, and information needs of farmers and their advisors. The purpose of the initiative is to assemble current knowledge on this topic, make it available to those influencing manure and land management decisions, and use it to inform and facilitate future research and service needs. The presentations and discussions were held in February and March, 2017. They focused on Manure and Soil Health Testing; Manure and Soil Biology; Manure and Soil Erosion, Runoff and Losses; and Manure and Cover Crops. Archived recordings of these discussions are available by clicking on the links of each topic title. In the Manure and Soil Health Testing discussion, the goal was to discover what current soil health tests help to quantify manure impacts on soil characteristics, thus determining a preferred soil tests. Experts and participants debated which types of fields might benefit from manure and sampling for soil health testing. A Nebraska crop farmer discussed his experiences and observations related to the value of manure. In the Manure and Soil Biology discussion, the goal was to discover the influence of manure, both positive and negative, on soil biology. Experts introduced principles of soil biology and role of manure, discussed if certain fields will produce more soil biology benefits than others, and introduced role of insects and manure in soil biology. Finally, participants debated whether an economic value for manure beyond its nutrient value can be derived. In the Manure and Soil Erosion, Runoff, and Losses discussion, the goal was to discover the influence of manure on soil and runoff. Information was shared on the relationship between manure solids addition to the soil and the reduction in soil erosion based upon multiple long-term USDA field studies. It was debated whether an economic and environmental value for manure beyond its nutrient value, due to improved moisture retention and decreased erosion, can be derived. A manure management consulting business shared their observations about the value of moving manure from livestock farms to neighboring crop farms with little or no history of manure use. In the Manure and Cover Crops discussion, the goal was to discover whether manure and cover crops have complementary benefits related to soil quality. Experts and participants debated nutrient planning questions, cover crop establishment and production, and whether timing of application affects these benefits. A representative of Practical Farmers of Nebraska shared their field research and experience supporting the complimentary benefit from manure and cover crops. Funding support from North Central Region Water Network.